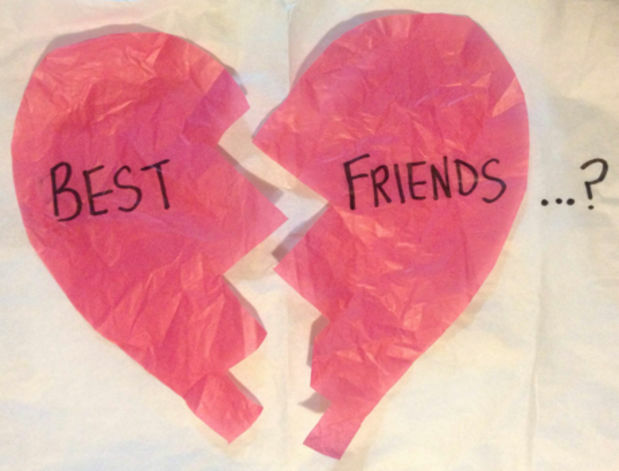 Why do friendships break up? I have been fortunate to have some amazing friends in my life. I have also had the problem of not so great friends in my life. But even worse is when a wonderful friend turns out not to be so wonderful. Or maybe you are excited about a new friendship and see a promising future, and somehow, something happens that pulls the rug out from under you and you have a sudden realization that it just wasn’t meant to be. Interestingly, as I sat down to write this I had a specific friendship in mind that I had to walk away from, but as I started writing, other situations came to mind, and I suddenly realized that I have been through a friendship break up quite a few times in my adult life. But why do friendships break up? A friendship breakup can be even more devastating than a breakup with a lover or boyfriend/girlfriend. Sometimes we have been even more emotionally intimate with our friend than our lover/boyfriend/girlfriend, and so the loss of the friendship seems to cut a little deeper. But as I think about it more deeply, I now realize that I have usually been the one to end the friendship. In all of the cases where I have had to end a friendship it is because what was at first a seemingly wonderful, loving, friendship ended up being toxic to me. Let me explain. My whole life people have felt comfortable talking to me about deeply personal things. I have always found it interesting that people will tell me really intimate details of their lives without me even asking. Sometimes it is people I don’t even know that well. Something about my personality (I guess) makes people feel comfortable and able to talk openly. To be honest, this morning I was looking in some high school yearbooks to find a certain teacher, and started reading the comments of people who signed my yearbooks. Apparently even in high school people felt they were able to “really talk” to me, and that I would always listen to them. This continued into my adult life, but unfortunately it has resulted in me having friendships that start out great, but I soon realize that the person I am friends with is toxic to me. In one case I had a very close friend who I realized was toxic when she needed me to come break up her fights with her husband, or her daughter called me because mom and dad were fighting, or mom was drunk and had taken too many meds. This woman stayed at our house many times, and while that woudl have been okay, the love and caring was never really given back. The final straw was when she asked me about some confidential information I just couldn’t share with her, and I told her I couldn’t share it, and she just wouldn’t let it go. She kept asking and asking me about it, and although I said I couldn’t talk about it, and that talking about it could jeopardize my job, and cause a difficult situation for my child, she still just “had to know” what had happened. I finally realized that she would never give up asking for the information and I would never truly be able to share it….ever…..so I had to walk away. That one really hurt because we had mutual friends, and had been very very close for about two years. We also had a business together, and that was complicated to separate. In the end I just walked away from it, and started my own business. I had to completely cut her off, and I cried about it for awhile. To this day although we have friends in common, and I have thought about reaching out to her, I just know I can’t do that. 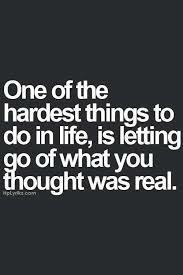 I am actually currently grieving the loss of a friendship that I thought would be amazing for my life and my family’s life. I have a friendship that I have invested a lot of time and energy and love into, but I just feel that it is a one sided relationship, and it won’t go where I thought it would go, and have had to come to that sad realization. This loss I have recently actually grieved over, and cried for a week after I realized it had to end. Because I am a person who doesn’t like confrontation, and can’t just walk away in this case, I have had to resort to making it a “superficial” friendship. I have slowed down communication, I am keeping conversations light, and stopped having deep heart to hearts. I am hoping he will just lose interest in me and move on, but it may come down to an actual friendship breakup conversation and I am truly dreading that! Nontoxic people can become toxic. Friendships can change and become unhealthy, or no longer what we want. We can change. Friends can change and start moving in different directions and we have to walk away. Sometimes we just start having less and less in common with someone as time goes by. There are many different reasons we have to break up with a friend, but my advice is to always listen to your heart and gut and do what is best for you and your life. Relationships are always two sided and what seems toxic to just one side is actually toxic to the other side also. It always takes two to tango and an independent person can look at the relationship and see where the mistakes were made by both parties. It is irresponsible to blame one person for the failure of a friendship without first looking at our part played in the situation and ask ourselves, “is that truly what happened”. Yes Susan you are absolutely correct. Toxicity can be felt by bot parties. I feel as though each person will have their own perspective and the other can’t judge them as right or wrong. Someone’s perspective is like their opinion, you may not agree with it, but that doesn’t make it wrong. This blog post showed up in my email at a perfect time. I feel the same way, sometime you just have to pull the plug. I had a friendship with a friend and I felt all I did was give – give – give. Unfortunately, I felt I was doing so at the risk of my family, I was more concerned about her needs and giving her what she needed. She has a special needs son who was in puberty, and I had a young pre pubescent daughter. To make a long story short, I was forced to step back and put my priorities in order. It’s very hard, but I think the whole process was harder on me. Thanks for sharing your story, I feel we have walked down the same paths on our journeys!